This story contains spoilers from Altered Carbon Season 1. With Altered Carbon, an adaptation of Richard K. Morgan's 2002 novel, showrunner Laeta Kalogridis delivered an ambitious series that alternated between gripping intrigue, heart-racing action, and unbridled horniness. Perhaps to make up for some of its earlier sci-fi movie duds, Netflix finally landed a big-swing title that felt worthwhile. The only downside, of course, being that in the age of bingeing, AC's appeal meant it was gone as fast as it arrived, prompting many viewers, including us, to ask: Will there be more? Read on for everything we know about the future of Altered Carbon so far -- a compendium we'll update as more info becomes available. 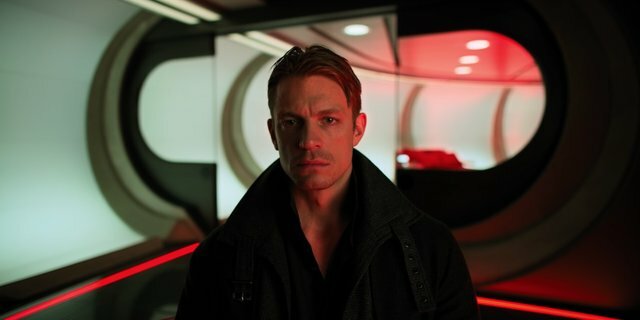 When will Altered Carbon Season 2 be released? Netflix officially renewed the series for a second season in July. So far, we don’t have a return date or episode count. Given the expensive, effects-heavy production of Season 1, it might be a while before we see new episodes. Who is in the Season 2 cast of Altered Carbon? No word on other casting announcements just yet, but there’s a good bet we’ll see more of Laurens Bancroft, the wealthy, mysterious character central to Altered Carbon’s mythology. Bancroft was played by James Purefoy in Season 1, but it’s unclear if he’ll be back. Another person likely to be back is Will Yun Lee, who played Kovacs’ original body. His flashbacks were a key element of Season 1, and will probably be just as important going forward. Because death is such an obtuse concept in Altered Carbon, it’s possible we could also see the return of dead characters like Reileen (Dichen Lachman) and Poe (Chris Conner), though that’s less likely. The show seems to be embracing an anthology-like format, so we imagine the cast will be pretty distinct year to year. What will Season 2 look like? Broken Angels is set 30 years after the events of the first book, and finds Kovacs working for a mercenary organization called Carrera’s Wedge. He’s tasked with searching for a Martian artifact that can open a portal to another dimension. If Season 2 follows the book, expect things to get even weirder than they were the first time around. How much of the books would Season 2 follow? As Kalogridis (who will be joined by Scandal’s Alison Schapker as co-showrunner for Season 2) has acknowledged, the second book was written like a "$300 million, two-hour feature," which means big changes would be in order to make Season 2 small-screen-and-serialized-friendly. That "creates some challenges, just purely from a perspective of how in the world do we accomplish the spirit of what’s in that story? Which I’m very interested in, an examination of this technology in relation to war," Kalogridis told Indiewire. "Because it’s very much an examination of class, in the first season, and I think war would be very interesting to examine and that's what the [second] book does. But exactly how we would do it and who we would do it with? I know it wouldn’t be as huge as the book, because it couldn't be." But! "Richard and I have a plan," Schapker reassured Entertainment Weekly. "I don't know how people will feel about the plan, but we do have one!"